I'm not going to lie, it upsets me greatly when an outstanding progressive album such as this seems to fly completely under the radar and goes almost totally unnoticed - you've all been warned! Although listed as Neo-prog, Asturias has a number of jazz-fusion and classical elements worked into their take on instrumental progressive rock, with great focus on furious and passionate violin by the stunning Tei Sena that gives this band a definite unique sound of their own. 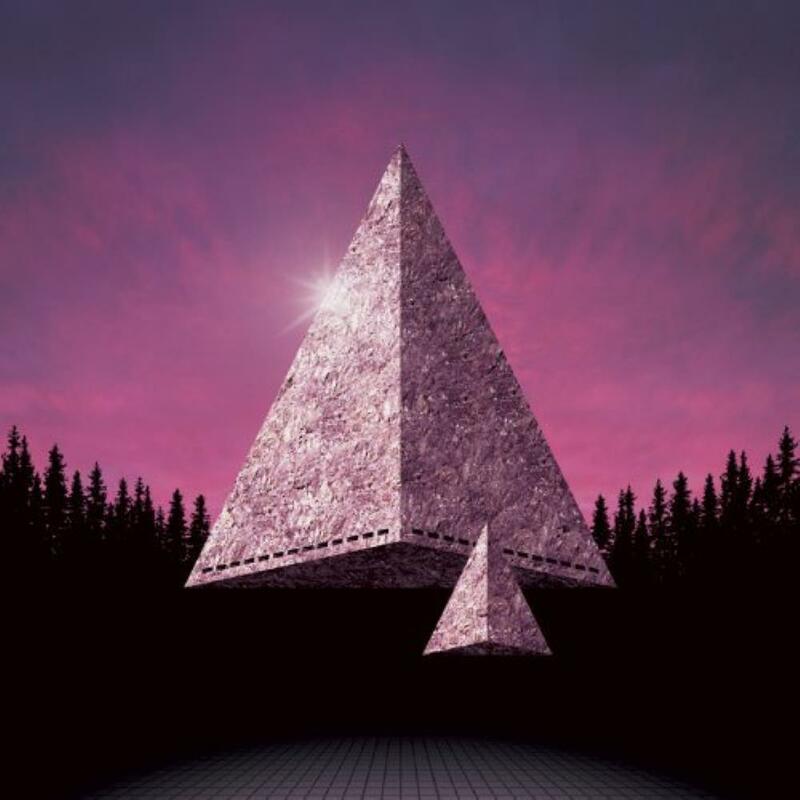 `Fractals' is overloaded with memorable instrumental melodies and stunning musicianship, with not a single moment of filler amongst the wonderful compositions offered here. Opener `Double Helix' is a frantic crash of uptempo neo-prog styled keyboards, commanding violin and winding guitar. Amongst the classical sound there's a snappy aggression to the performance, especially the driving drum-work. The band sounds so confident charging in with this one! The suitably titled `Voice From Darkness' has a more somber dramatic mood, heavier and displaying even occasionally brief sinister moments. Very stirring and darkly sophisticated, nice hypnotic synths and bass throughout too. `Castle In The Mist' is the first epic, with a lovely reflective violin theme at the start and end of the piece, a heartfelt piano/bass middle section, and a powerful main guitar theme reprised throughout with a fiery solo to end on too. The punchy `Moondawn has very neo-prog electric guitar melodies and matching synth runs, with a nice playful jazzy improv section in the middle. A shorter track, it serves as a nice break between the longer pieces. The second epic `Silent Tears' opens with an endless emotional guitar melody and solo, playing in a lonely Santana style with lots of sustained notes that makes it quite heart-wrenching. A weeping violin soon comes in with the rest of the band playing the same melody, but even just the single instrument change dramatically alters the mood. The band then heads in a jazzy fusion direction with piano and full band, the violin and guitar play the exact same melody but take turns to briefly solo - a wonderful and tasteful duel! 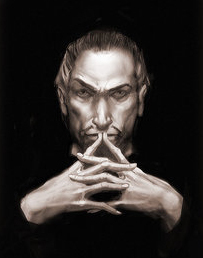 Now we come to the three part epic `Suite Of Fate" - We prog fans do love a good multi-part suite! `i. Fugue' is a darkly classical short instrumental performed on church organ and electric guitar. Little bits of Genesis and ELP in this, as well as fellow Japanese band Ars Nova but with less bombastic aggression! The highlights of the upbeat `ii. Argus Last Stand' are jazzy piano, a couple of cool synth solos and a busy drum showdown flying around the dancing violin. After a misleading delicate piano intro, `iii. The Lancer' is a great snappy and energetic number where all members get rapid-fire solos and standout moments. The album seems to be only available as an expensive imported Japanese CD, but is worth every cent. Not sure if it's hard to come by already, but I urge listeners who are impressed with online sample tracks to get themselves a copy. This album is credited to Electric Asturias to differentiate from the project's acoustic albums. While I love the visually simple but striking front cover artwork, I'm a little conflicted about the the CD's bright pink spine, but at least it's easy to find on the CD shelf! Easy to listen to, but full of subtlety, hidden complexity and surprising depth, `Fractals' offers the perfect balance of restrained talented musicians knowing when to hold back and let the music breathe, while still impressing with their technical prowess and ear for good memorable hooks. This incredibly energetic, intense and inventive album is a complete joy to listen to, and exactly the reason why we listen to progressive rock in the first place. I'm glad to see several raters have also awarded the album the highest rating. Along with the most recent `Kotobel - Concerto For Piano And Electric Ensemble', this one offers some of the finest instrumental progressive rock music of recent years, really raising the bar for other bands. Couldn't be more highly recommended, and I couldn't imagine my collection without it. Also billed as being by "Electric Asturias" - the name Asturias take on for their electric releases - Fractals is a fascinating collection of instrumental prog numbers which remind me of what might have happened if A Word In Your Eye-era The Lens had taken on a really dynamite violinist and the rest of the band amped up the complexity of their compositions to suit. Project founder Yoh Ohyama sticks to bass guitar rather than playing a wider variety of instruments this time around, which shows that he knows when to step back and let the other instrumentalists take the spotlight a bit; in particular, Tei Sena's violin work on here is absolutely incredible, and Yoshihiro Kawagoe does sterling work on keyboards too. We can call this album as an excitement springing out, can't we? According to what Yoh's said to me, looks like ELECTRIC ASTURIAS, a Japanese Neo-Prog pride, could touch and attract the audience in RoSfest 2013 ... and we've easily understood this pleasant matter via their album "Fractals", that has more brilliant complexity, more comfortable aggression, and more definite "antipop" sense than previous works as ASTURIAS. Yes, in this album, we cannot avoid the main instrumental dish Tei's violin, that might have got cheered up and brought out by Yoh's composition and arrangement I guess. As if the violin sounds would tear our brain out with the musical gene coreS entangled together, they launch gemmy enthusiasm, the ingredient of the first shot "Double Helix", followed by "Voice From Darkness", characterized by more powerful and darker bass, guitar, drum footsteps. Of course all instrumental parts, especially the rhythm section, play so solidly and dramatically that such a perfect opening can be born. Can be said as the most suitable for the first explosions in this album. The middle three stuffs are pretty good too. "Castle In The Mist" has three sections- the first and the last are impressive in eccentric melodies created by Tei's heavy, rigid weapon, and as for the middle one, we can get immersed in Yoshihiro's beautiful piano play and psychedelic endeavour, just like the title says. "Moondawn" sounds like a dim light over the sound horizon solidified with hard massive rock symphony.In "Silent Tears - Cyber Transmission" mellow guitar-, dreamy violin-based rock fantasy seasoned with a bit acoustic flavour ... easily digested by the audience methinks. On the other hand, the last meaningful "fateful" suite "Fate" has another melodic and solemn theatricalism, veiled firstly into synthesizer-based pipe organ silk and electric guitar divine beauty in the first part "Fugue", leaning toward their origin ACOUSTIC ASTURIAS. The second "Argus Last Stand" is a heavy killer along with heavy rhythms, heavy guitar machineguns, heavy keyboard beams, and heavy violin complex-fracture-organization. Reminds us something dramatic like Neo pioneers. The latest "The Lancer" is the true worth of ELECTRIC ASTURIAS featuring their original "rock" motivation and procedure ... keeping melodious-ism, dramatism, theatricalism, and enthusiasm in their inner minds. Superb album really, let me recommend as one of the musts in Japanese Neo-Prog scene. 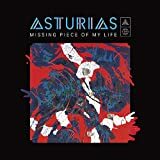 Japanese project ASTURIAS have been around for a quarter of a century or thereabouts at this point, and appears to be the creative vehicle of composer and musician Yoh Ohyama more than anything else. 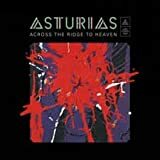 The Asturias albums range from productions that basically comes across as solo albums to productions were it's fairly obvious that we're dealing with a full fledged band effort. "Fractals" is the most recent album to be released under the Asturias moniker at the time of writing, and was issued in 2011. 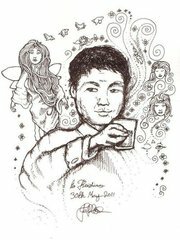 When you read up a bit about Asturias, a phrase that has been connected to this project is that this is the Japanese answer to Mike Oldfield. Presumably a description given a few years ago rather than to this specific album, as "Fractals" is a creation that doesn't have too many similarities with Oldfield, at leas as I know him. There is one common denominator however, the style explored resides fairly safely within the boundaries of the instrumental part of the progressive rock universe. Positive, uplifting and fairly elegant compositions blending elements from symphonic art rock and jazzrock is the type of music explored in the majority of the material at hand, with Ohyama's bass guitar a a rock solid presence beneath delicate but spirited violin motifs, soaring and elegant keyboard textures and longing guitar solo escapades. The violin in something of a star role, especially in the first half or so of this production, with ample room for two or more solo instruments hitting off on a more intricate, harmonized run and even a few call and answer routines. Organ and violin combinations and violin and guitar combinations two of the more striking combinations given ample room and opportunity to hit it off. When the guitar isn't on a soloing run dampened riffs and occasionally funk-oriented light toned guitar licks are utilized as a supplemental detail, and there's also room here for calmer, intermediate phases and some instances of individual instrument solo inserts. All of it combined into a tight, compact package, and executed in a manner that indicates that the level of musicianship here is on a very high level indeed. Apart from many songs that mix details from the stylistic expressions mentioned in a manner that makes it hard to point to similarities towards other bands, Moondawn is the odd one out that does include some fairly obvious details that at least for me carry similarities with bands such as Camel and Eloy. With a more purebred jazz-oriented sequence included though. Otherwise the main exceptions in terms of style and expression appears towards the end of the album, as the three part feature Suite of fate opens with a distinctly classical music inspires fugue, followed by a more purebred jazzrock composition and then concluding with a piece that again blends elements of jazzrock and symphonic art rock. All in all "Fractals" comes across as a rock solid production through and through. Strong and distinct moods and atmospheres, excellently performed and produced. Those with a strong affection for instrumental progressive rock in general and who enjoy artists that blend symphonic art rock and jazzrock in particular should take the time to check out this production. I'm fairly certain that the greater majority of that specific audience will treasure this album greatly. 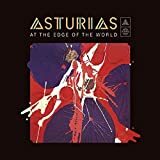 Post a review of ASTURIAS "Electric Asturias: Fractals"